How to choose the right L’ANGE curling wand for your hair type. Know which size and which material to get for your hair. I have only been using a curling wand for six months, but I am completely in love with it! 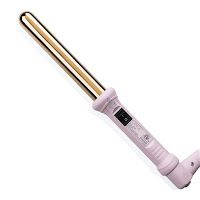 I love tools that help me to look great in a short amount of time, and a curling wand definitely does that. I can curl my hair in about ten minutes and it looks like I spent a whole lot longer getting ready. 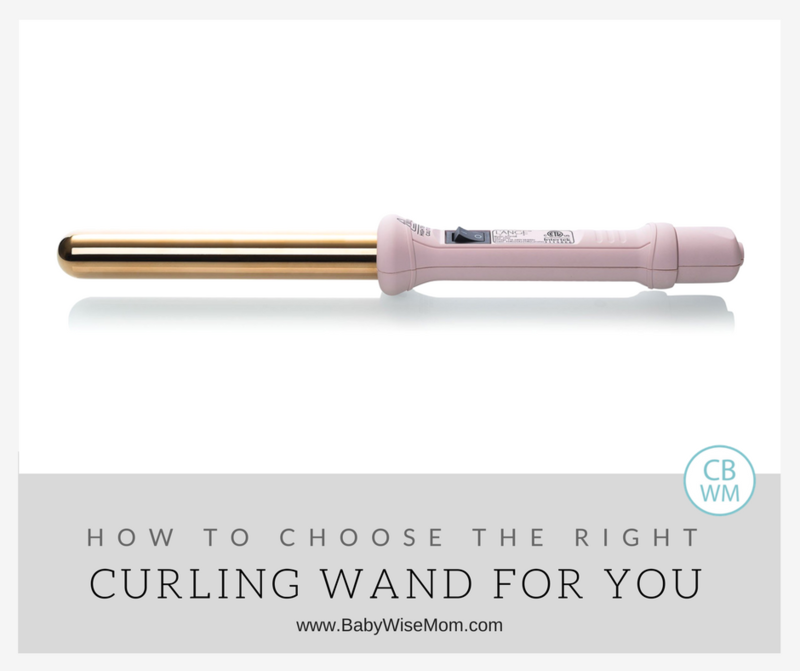 I did a lot of researching before settling on a curling wand. I could have gone with a very cheap one, and almost did, but my husband talked me out of it. He is all about getting good quality tools for the job you are doing, and I realized all that would happen is I would get a cheap wand and eventually buy a nice one and would have spent more money than I needed to overall AND I would have clutter because I would have a hard time getting rid of the cheap wand. I just struggle getting rid of things that work (you never know!). So after some searching, I settled on a wand from L’ANGE (affiliate link). I love it! The curls last so well that it saves me even more time on my second day hair. I got a couple of wands and some hair products and loved it all. I loved them so much I approached them and asked if I could work with them. If you click to their website through my link, you will get 50% off at checkout (if it isn’t working for some odd reason, enter code “Babywise” when you are at checkout). There are so many great options from L’ANGE that it can be hard to decide what type to get. Titanium or ceramic? 25 MM or 32 MM? 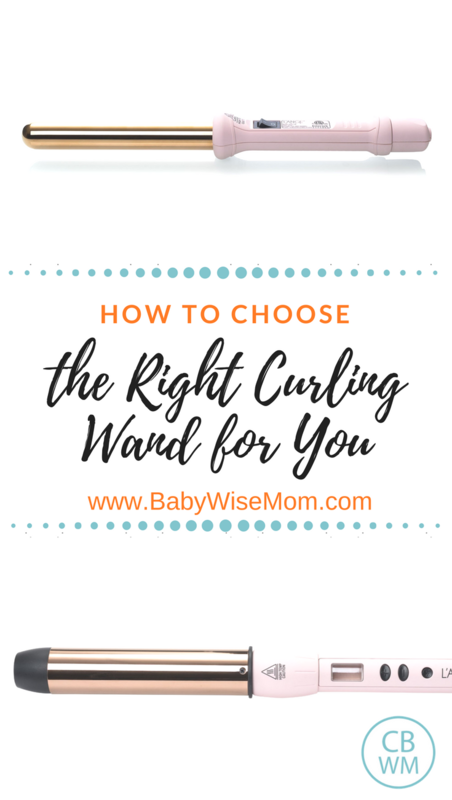 Here are some tips when choosing your wand size and wand type. You first need to decide what material to go for. I have both titanium and ceramic. My hair is easy to curl, so they both work well on my hair, however, my daughter has hard to curl hair and the ceramic just doesn’t work. I will also say that when I use titanium, my second day curls are great, but with ceramic, I basically have to re-curl all of my second day curls. The next big decision is the size of wand. My girls all have hair to their waist and this is the size of choice for all of them. 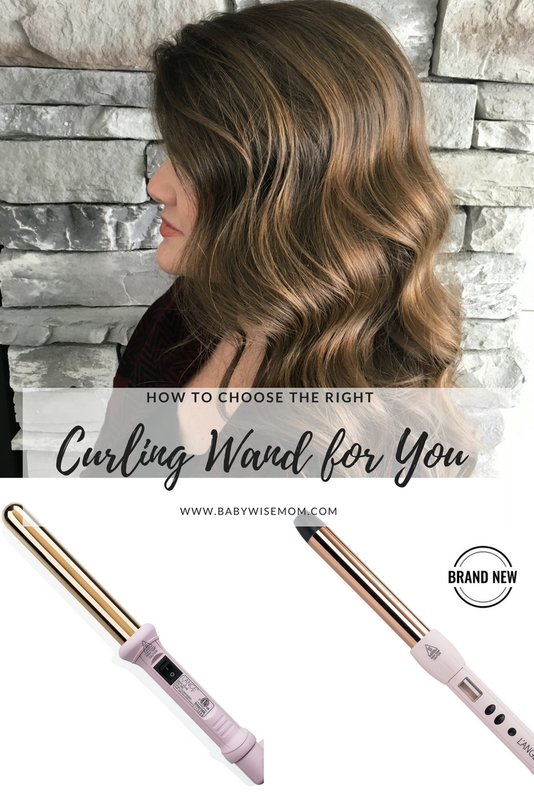 This is a versital size–you can go for tight curls or for looser curls just by changing the size of the chunk of hair you wrap around the wand. This size gives a very different look, and I personally use both weekly. My advice is to start with the 25 unless you are absolutely sure you only want more relaxed curls or your hair is very long. As if the sizes and material weren’t enough of an agonizing decision, there are different styles. This is the basic wand and is less expensive. It has one heat setting at 410 degrees. That is the ideal temp for most hair types, so it works well. The Lustre is more expensive but has more features. The heat temps range from 170-450 degrees, so if 410 doesn’t work well for your hair, you can try other temperatures. This has a cool tip end to help you prevent yourself from burning yourself. It has an automatic shut-off so it will turn off after being on so long. You want to use a heat shield with this hot of temperatures. A full product discussion is a post for another day, but the heat shield is a must for protecting your hair. 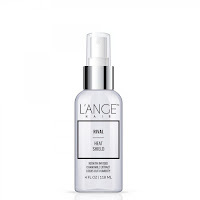 See my post for a full L’ange hair product review. 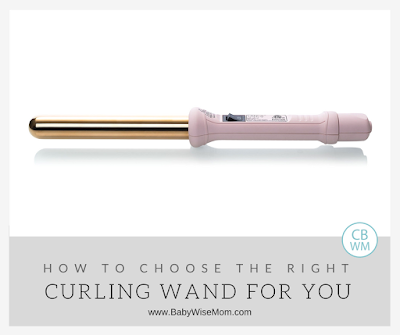 Watch my video on how to curl your hair with a curling wand here. I absolutely LOVE my 25mm Lange curling wand!!! And their heat shield is a must for my fine hair; plus it smells great. I ordered the 32mm Lange wand in ceramic, I have a wave to my hair (its thin but have a lot of it) so I bought the ceramic. fearing i should have purchased the titanium instead? If it curls easily, the ceramic should be great. I am thinking I will do a video of me using both wands so people can see the two used side by side.